I am still working my way through my stack of recent book releases, but in the meantime, one book that I do want to bring to your attention is Jean-Louis Deniot: Interiors, written by Diane Dorrans Saeks. I have long been a fan of Deniot's work, especially that which is infused with a 1930s- and 1940s-era aesthetic. 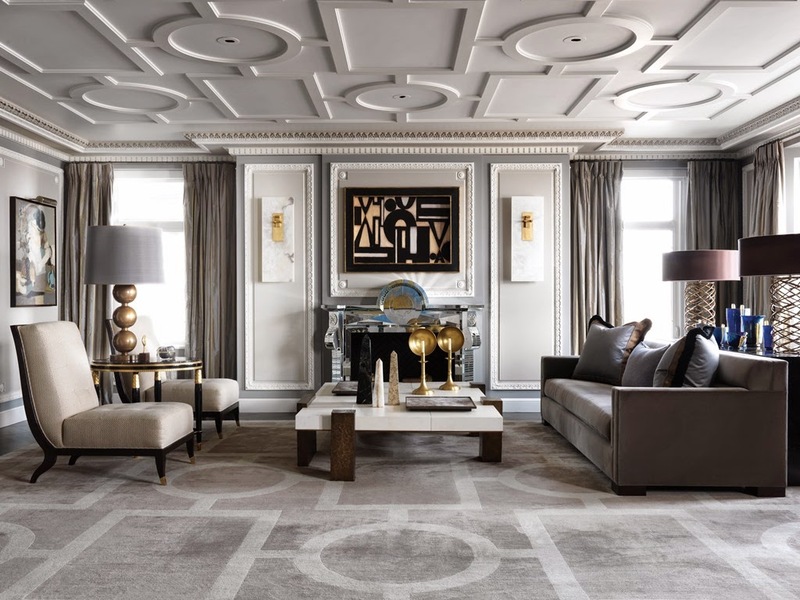 Deniot admits to being influenced by the work of such early-20th- century innovators as Jean-Michel Frank (especially Frank's use of natural materials and textures,) and it is this influence that helps to make Deniot's contemporary interiors classic, warm, and inviting, while at the same time imbuing his traditional interiors with flair, sophistication, and a soupçon of glamour. Two things that I especially want to note about this book: first, Saeks treats each interior photo to an information-packed caption. 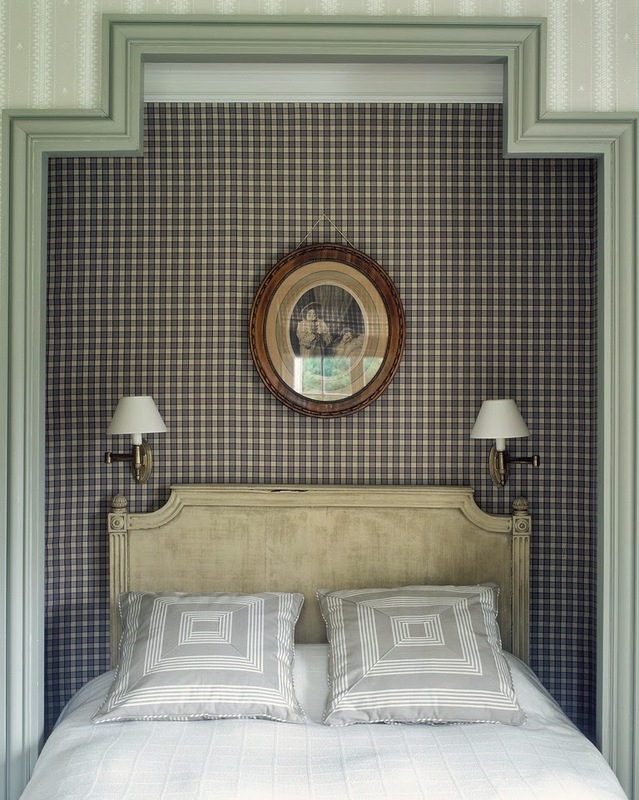 This is where you will find details as to which fabric, for example, Deniot chose for that particular room. Second, the text is peppered with tidbits of Deniot's design philosophy, something which, in a way, makes this book read like a master class in sophisticated decorating. Couple the compelling text with the book's beautifully-shot photos, and you have a tome that will leave you feeling inspired and informed, too. 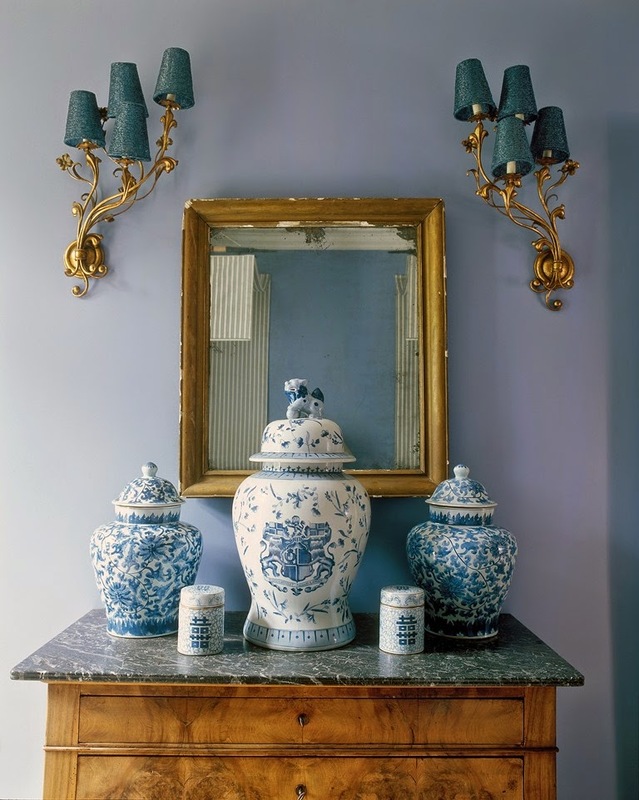 © JEAN-LOUIS DENIOT: Interiors by Diane Dorrans Saeks, Rizzoli New York, 2014. All photos © Xavier Béjot. I am spell-bound. This is a book that I must have. Warmth and coolness at once. The subtle colors and attention to detail and light. Thank you for this beautiful review. I found this book so, so inspiring. Definitely not a DIYer, though! This book arrived in my letterbox a few days ago. 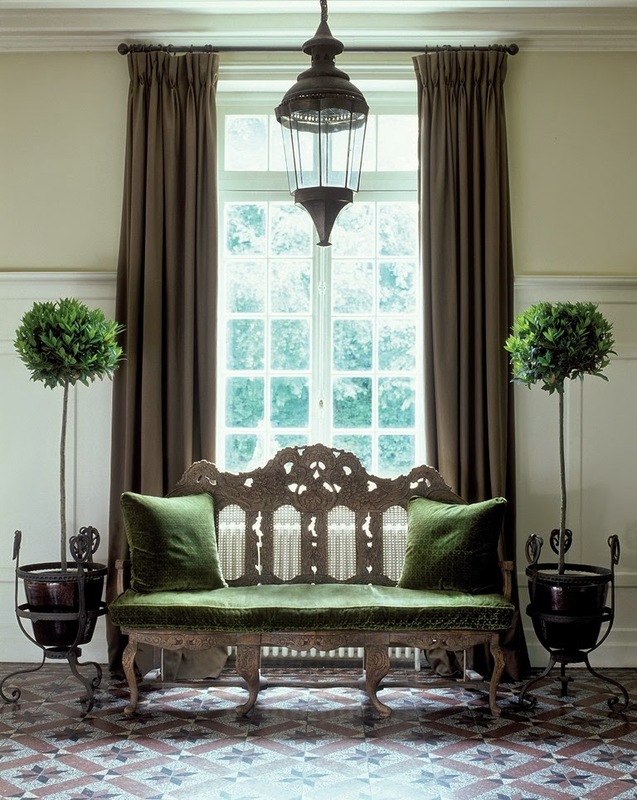 It was eagerly anticipated, as I have long admired Deniot's work and even heard him speak at London's Decorex. The cover photo definitely doesn't do him justice. 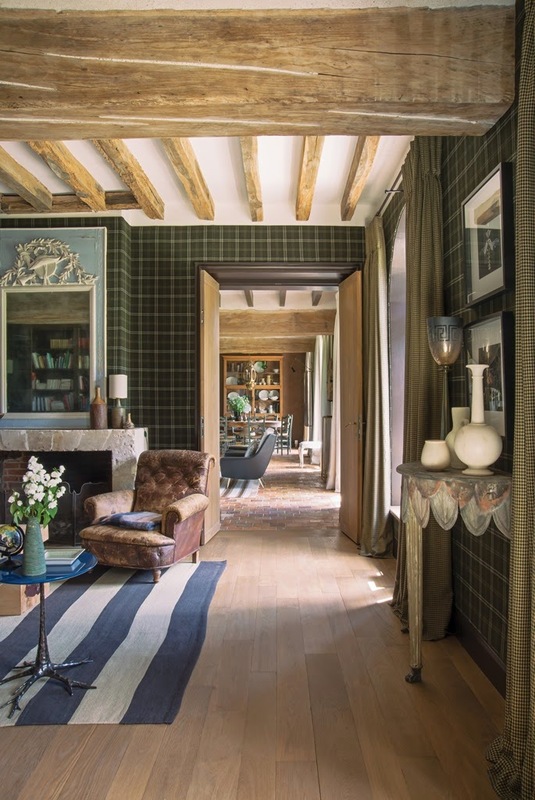 Even though I am not at all enamoured of mid-century design (a Deniot staple) and frequently find monochrome decorating bland, I am an unequivocal admirer of Jean-Louis Deniot's work! 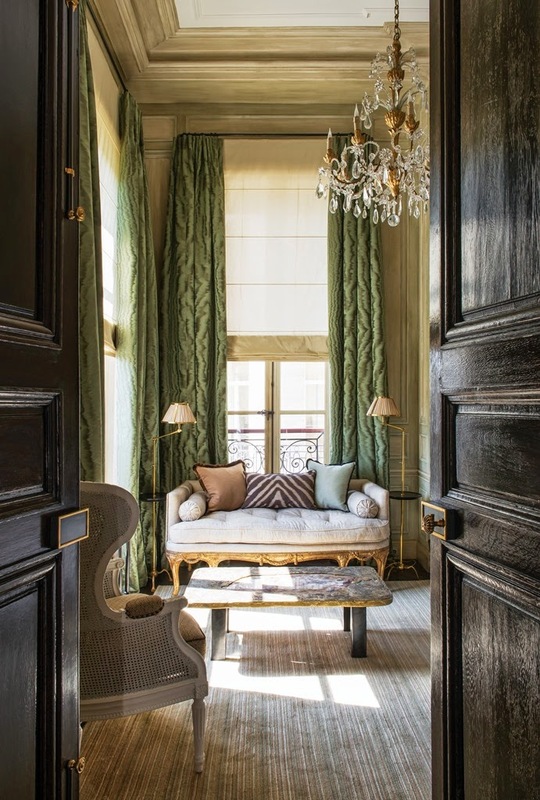 He is at his best when he has to work in period settings (such as the incredibly grand apartment on Rue des Saints-Pères) and use colour, managing to bridge the gap between the antique and the modern with effortless elegance. His interiors ooze quiet luxury - baby alpaca bedspreads seem to be a favourite - and are understated, chic and eminently comfortable. You can see that from the photographs alone. I remember admiring his own pied-à-terre in Paris (not featured in this review) in German AD about ten years ago. And to think he can't be more than 40... This book makes me want to remodel my own place entirely! Jennifer, you'll forgive me for saying: Jean-Louis Deniot is the PEAK OF CHIC!! !